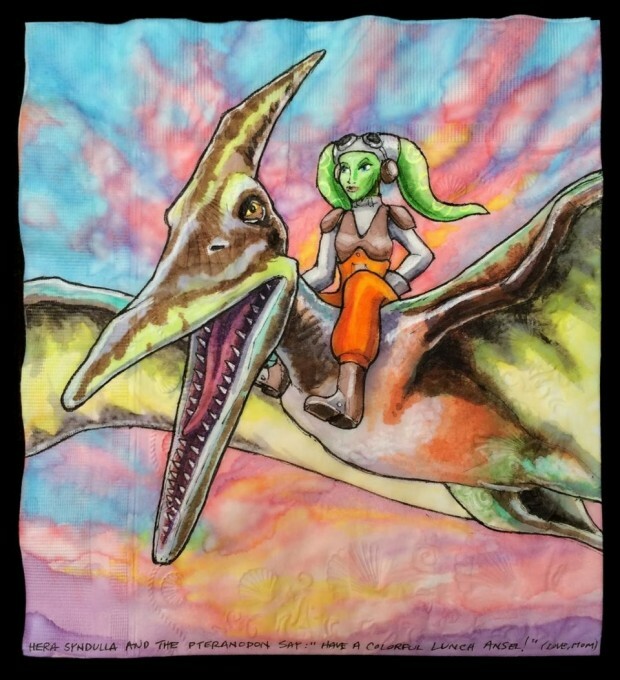 Nina Levy knows how to make her sons’ lunches out of this world. It’s about more than fancy sandwiches and desserts. 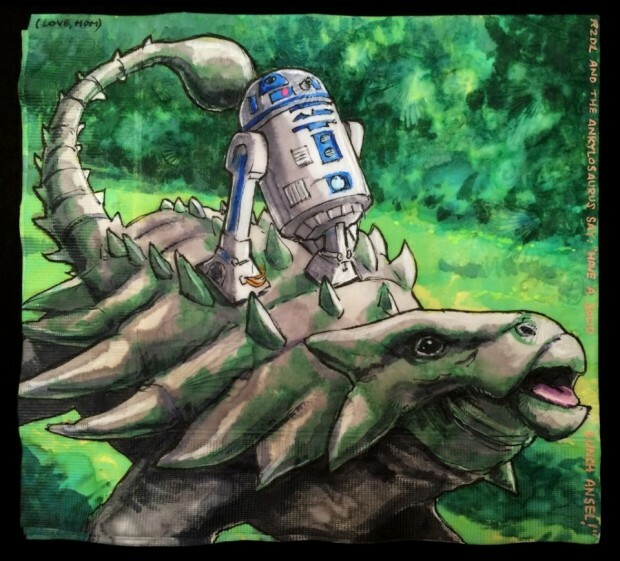 She uses waterproof art markers to turn disposable napkins into awesome illustrations. She draws creatures, mash-ups, and pop culture characters. 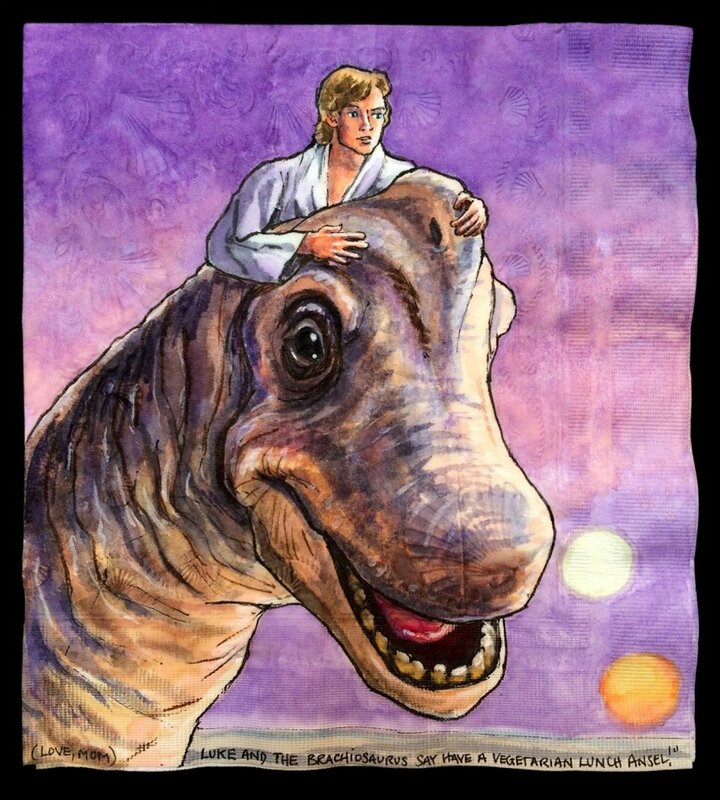 My favorites are the ones from the Star Wars universe. 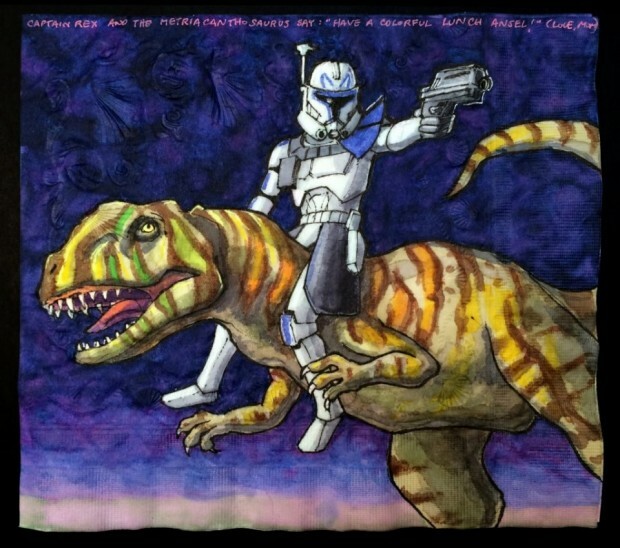 She even did a series of Star Wars characters riding dinosaurs. She may just be the coolest mom ever. 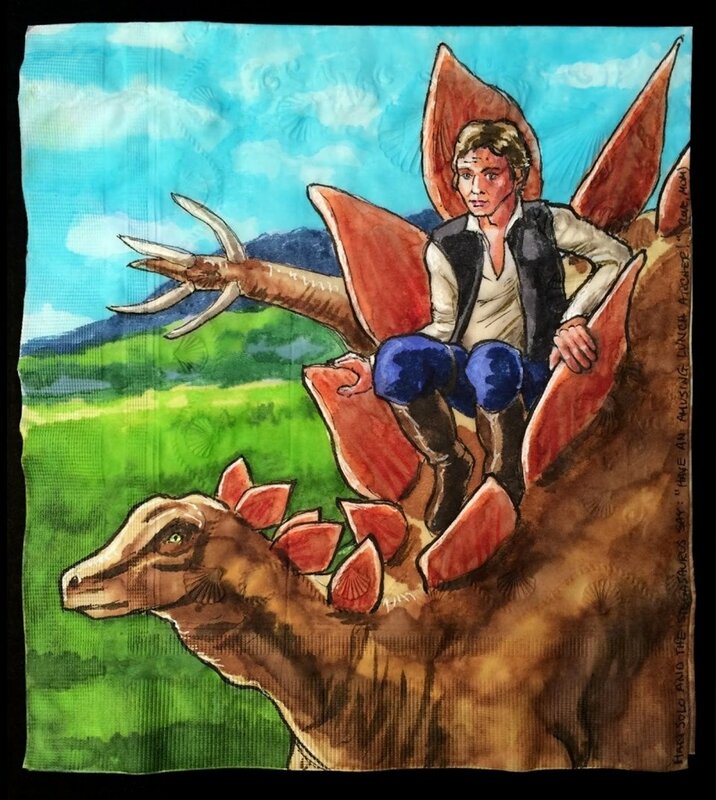 Han Solo riding a Stegosaurus? Give me that movie! Nina has actually been creating napkin art for her sons Archer and Ansel since 2006 and they have gotten better and better over the years. Check out some of my favorites right here.